We sought out John Ferraro because he is truly a Master of feel and style - one of those rare guys that always plays the right part at the right time. John also has a serious "Drum Junkie" problem, with a insane collection of kits rivaled only by his collection of Hockey sticks! He was also ingenious in our sessions at figuring out how to get all those retro 60's & 70's drum sounds. (Kotex taped on oil-filled drum heads??!!) John literally has an arsenal of tools for the right sound. His extensive collection of drum kits allow him to set-up, tune, mike, and provide the full range of sound and style by using a variety of different vintages, shell materials, woods, synthetics, and metals. John’s amazing talent combined with his collection of drums allows him to handle any musical situation. 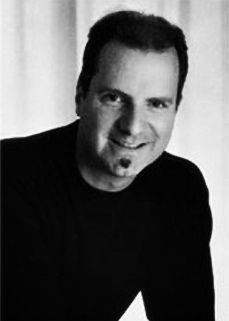 As a busy LA studio player, Ferraro is well-known for his tasty playing with Larry Carlton for many years. He has also worked with Steve Morse, Abraham Laboriel, George Benson, Carl Verheyen, Barry Manilow, Albert Lee, Matt Rollins, Jay Graydon, Italian pop singer Umberto Tozzi, Tim Weisberg, Promise Keepers, Aaron Neville, Linda Ronstadt, David Benoit and Eddie Van Halen to name just a few. We are really pleased to be able to bring John's encyclopedic knowledge of groove and his wonderful playing to the sampling community.